Our knowledge base is the source of truth for our product support team. We maintain up-to-date information on a wide variety of actions you'll need to do in your admin dashboard. Our Knowledge Base has powerful search integrated. When searching for a topic you need assistance with, first try searching that phrase or keyword(s), if those results are not helpful try searching with keywords that might be related. Our Knowledge Base is broken into several key segments to help you find what you're looking for. Within each segment are further categories that help bring structure to the support documents online. Have a look through the different segments and their categories within to familiarize yourself with what is available. Do you have tasks that you do often but infrequently enough that you sometimes forget how to complete those tasks? If you come across a useful Knowledge Base Article, bookmark it! Create a folder in your bookmarks especially for your Optix Dashboard so that you always have a quick access to those articles, with just a few clicks - no more searching, scrolling and clicking! If you've searched our Knowledge Base and are still looking for help please do not hesitate to contact us or start a chat! 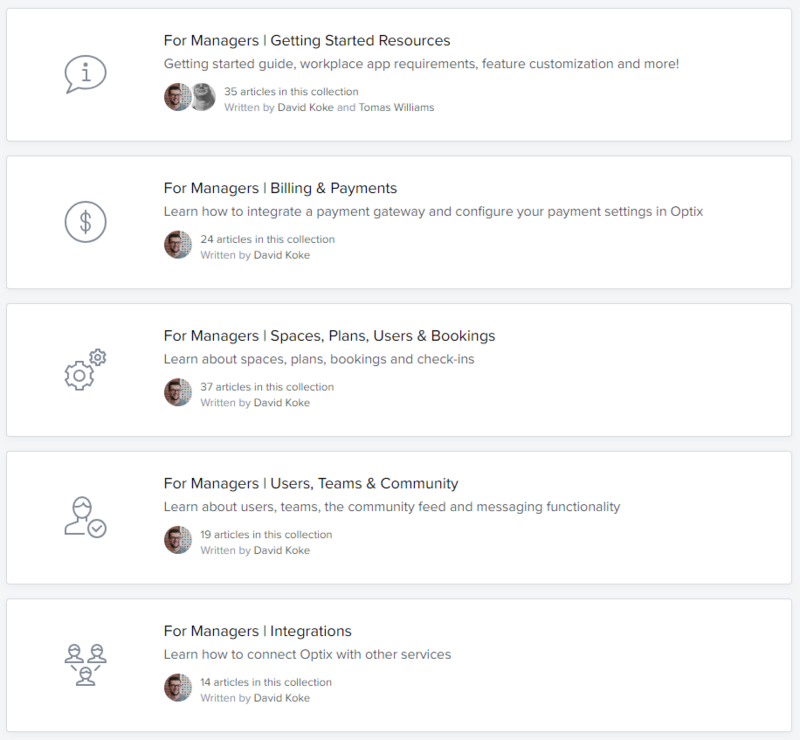 Familiarize yourself with the admin dashboard with our short guide or visit our getting started checklist to learn how to configure your account for users.